Examples of past, present and future LED lighting projects | Holly Solar Products, LLC. Here's our 380 watt CO2 laser, with a 40 x 30 inch bed; this powerful laser capable of cutting .125 inch stainless and carbon steel in addition to 1 inch acrylic. We can take your Illustrator file (.ai) or .dxf file and turn your virtual file into something tangible. Here's our trusty 180 watt CO2 laser, with a 40 x 30 inch cutting area, we use this laser to cut the majority of our acrylic housings. Capable of cutting up to .75 inch acrylic, this reliable machine was our first laser and has preformed flawlessly. The “Thousand Watt Bathroom” designed by Adele Salierno of Geddes Ulinskas Architects for SF Decorator Showcase 2017. Lighting design by Al Zaparolli of Techlinea and custom LED panel designed and manufactured by Mike Hollibaugh of Holly Solar Products, LLC. "Northern Lights", a kinetic sculptural lamp, designed by Sherry Williamson, custom RGB lighting, power and control platform designed and manufactured by Holly Solar Products, LLC. A custom hydrophobically coated LED back light for a machined copper house number by Phoenix Day. 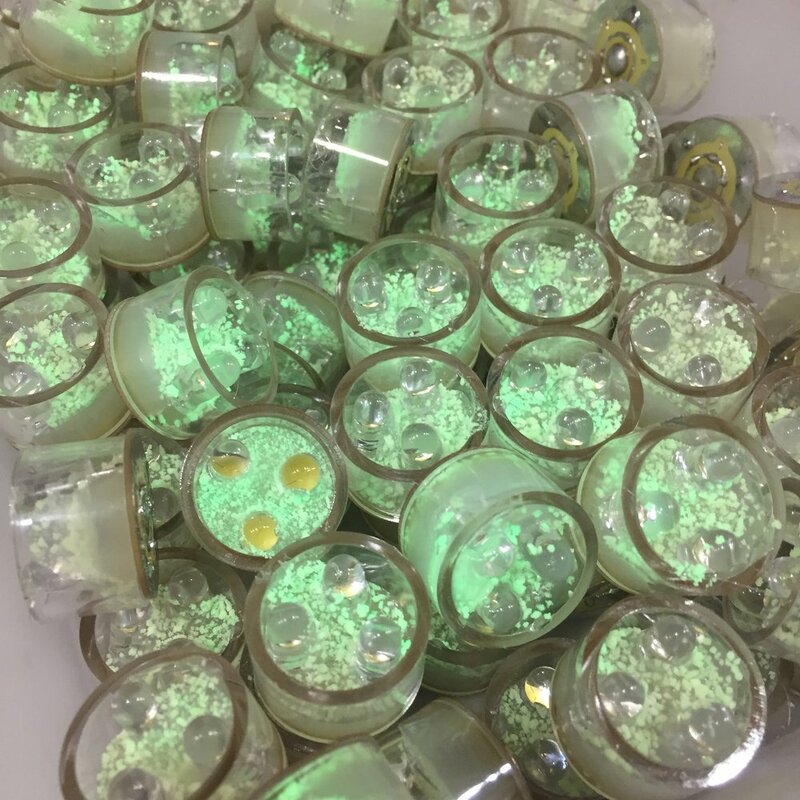 Glow in the dark LED inserts for our promotional LED flashlights. 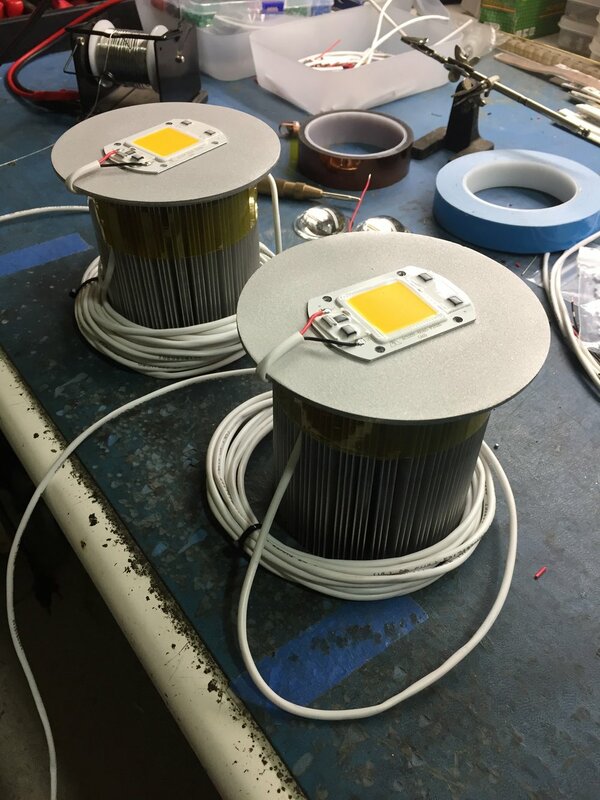 High power LED beacons designed for Burning Man 2017. Custom linear LED light fixtures with integrated diffuser designed and fabricated for Charles de Lisle. Custom RGBWW back light bar for The Drawing Board in Petaluma. Site specific LED chandelier designed and manufactured for N.I.C.E. Collective headquarters in San Francisco. A custom LED grow light assembly prototype designed and manufactured for the B-Pod; a rotating hydroponic garden system. Laser cut housing and LED platform designed for Phoenix Day. Fixture lamping and LED install on wall mount fixtures for Mike Garlington. 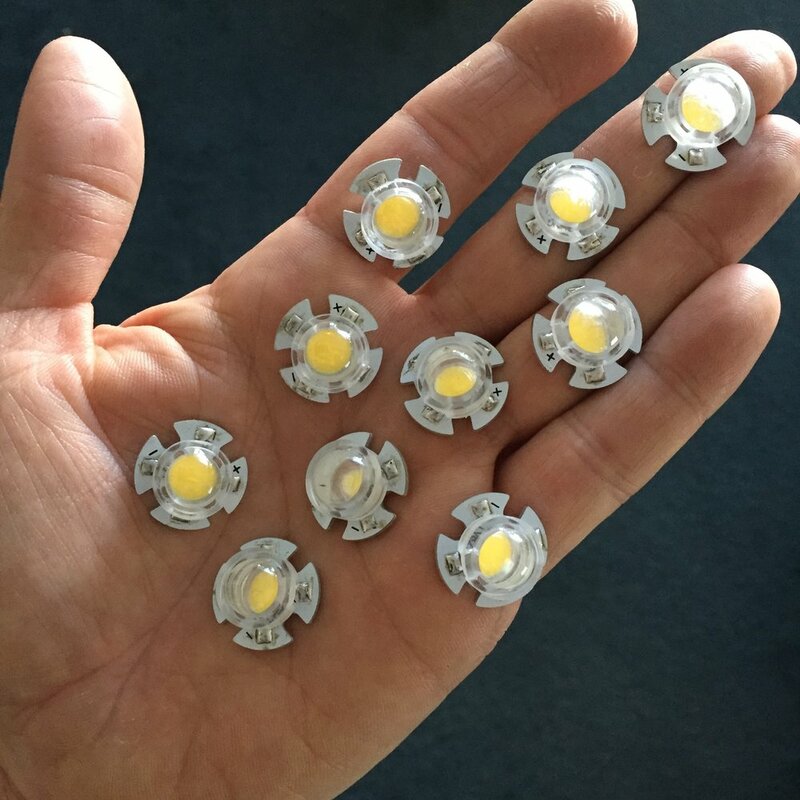 3 watt LED emitters with custom designed injection molded lenses. A positionable LED fixture retrofit. Medical LED illumination platforms for Leica Biosystems. A prototype fixture, designed, cut by CNC, garnet blasted and retrofit with an LED for Pete Gonzalez Electric.